Yesterday Anastasia and me went to talk to Karin from HR about the Masterpiece idea I explained in one of my previous posts. To be honest I was slightly worried if she would like the concept, but it turned out that my fears were completely uncalled for. In short, she loved it! So yes, we have a green light to proceed with the project. When it comes to my overall feelings at the moment, I’d say the level of stress dropped a significant amount comparing to last week. Furthermore, I finally realized why I was under so much pressure then. The thing is, I don’t usually get stressed when I am overwhelmed by work; in some ways it is my natural state and I learned to enjoy it even (as much as the situation allows). On the other hand, knowing that there are things to be done, but being unsure what they are, as well as not having a clear plan/goal in mind - is something that can really put me in the stress mode. Anyways, this first week of the Masterpiece Phase is mostly reserved for planning and making sure we have our vision and goals set, before we start with the actual coding on Monday. Today we imagined ourselves and this platform in two months time, and wrote a Press Release to visualize how things might look like then. This will not only be helpful in keeping us focused on the final outcome, but can also give an insight to other involved/impacted people on what our project is about and how it can benefit the company. After that we did a stakeholder analysis, using a Stakeholder Map. 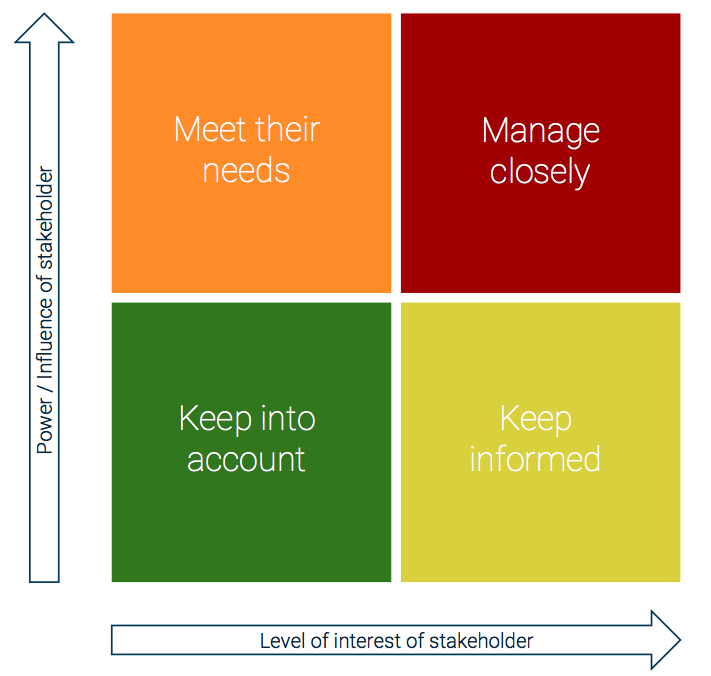 Basically the idea is to place our stakeholders on a grid bellow, according to their level of influence and interest/availability. This step was important to us in order to understand who our main stakeholders are and what is their connection to our project. The result of stakeholder mapping is now up for review in our Masterpiece Daily tomorrow morning. The plan for tomorrow involves talking to IT Ops with regards to the authentication. Of course, it would be ideal if we could use the existing company accounts for log in to our platform as well. Hopefully after talking to them we will get an idea of how difficult this would be and how much time it would take. Afterwards I think we will have enough information to write the first version of our requirements document. I assume this document will contain all the ideas we gathered so far, but the prioritization and roadmap planning will still need to be done. It is easy to get carried away with too many features, but we should try to be as realistic as possible and set achievable goals for the future. That’s an another important lesson to learn through this masterpiece project. Assuming that from now on coding will dominate my days and not leave much time and space for other things, my blog posts will probably get a bit shorter as a result. I will try to post regularly though, with at least a brief description of our progress every day. With that said, I just can’t wait to dive into the code! I’ve learned so much over the past four months, and it will be very exciting to apply all that on a real project and see how far I’ve come. Monday can’t come soon enough!